There are no words. Must. have! Gosh, your cheekbones, Xiao!!! 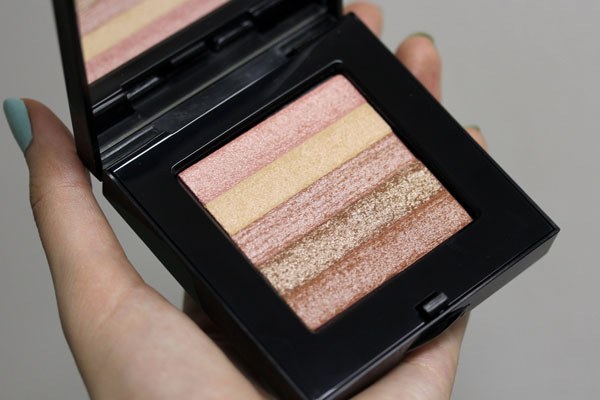 They look even hotter with this Shimmer Brick! I have it in Bronze but still haven't figured out the best way to use it. I'll give it a try on top of my blush soon! Your cheekbones could sell just about anything, so it's no surprise that I now definitely want this! I've also never really understood the concept ... feel like I can't pass up on Rose Gold now! II'm always a bit confused by them, too. I suppose, then, highlighter and luminizer should not be used interchangeably? What about "illuminator?" ._. I hate makeup. Hahahaha. You look gorgeous, as always, Xiao! What eye makeup are you wearing? And mascara? Ooh, pretty! I love how subtle the shimmer is <3. You make everything look pretty--I have to agree with Jessica, your cheekbones could sell anything! I've tried Shimmer Bricks before, and you do make a convincing photographic case for giving it another try, but I'm still resisting for now. I'm kind of meh on these-I think they are a bit too sparkly for this old lady. I find the texture of them too chunky for my liking. 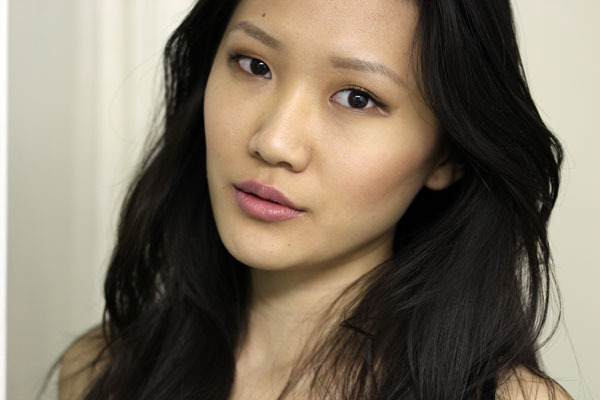 Are you wearing the paul and joe Lipstick C in 076 Meow? So pretty! 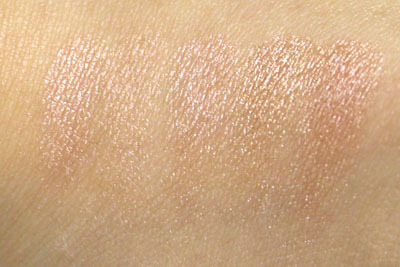 I have this one and really like it... the shade is similar to MAC's Redhead (from Naturally collection, algo LE), but less pigmented. I can use Redhead as blush, Rose Gold no. Another great Shimmerbrick is Nectar. I have Rose and Bronze too, but I prefer Nectar. Hi, just started reading your blog - you do a lovely job with it! I just bought rose gold and I love it! 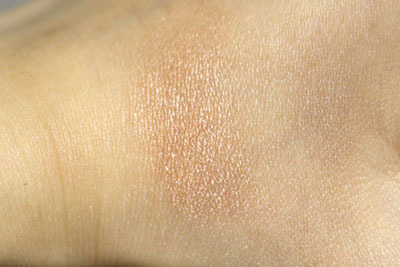 i have so many cream blushes that dont work alone, but layered under shimmerbricks they look great! Rose gold looks lovely on you too - you have beautiful bone structure! It looks incredible on you!! 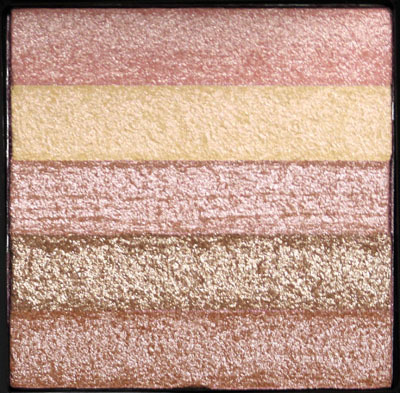 I've always like BB Shimmer Bricks - my fave is Beach. Gold and pink always look good together. This has a nice tint. Sunny- Thanks :) Try it and let me know how it goes! dani- Kinda surprising from a shimmerbrick, personally! Jamilla Camel- Thank you, Jamilla! I was wondering what nail polish shade/brand are you wearing? I just saw your nails in the first picture and the color is so pretty. Well, not to be too argumentative, but I would say I've found plenty of good regular face creams that are light enough for use around the eye. I don't doubt that you're able to find face creams to work under your eyes, but the keyword there is of course "light enough" for the eyes. I'm a dehydrated person and the creams I use are usually quite heavy so they usually wouldn't work for me. Is the skin under your eyes more dry than the rest of your skin? Well, thanks for that Xiao! I was determined to ignore these, this enticing shade in particular, but now I'm not sure I can continue to hold out! I've always been curious but found them, as you did, inappropriate as a highlighter - and on my skintone, too fair to be a blush...I think I trip to my local BB counter is in my near future!